We went to Leticia's baby shower today. 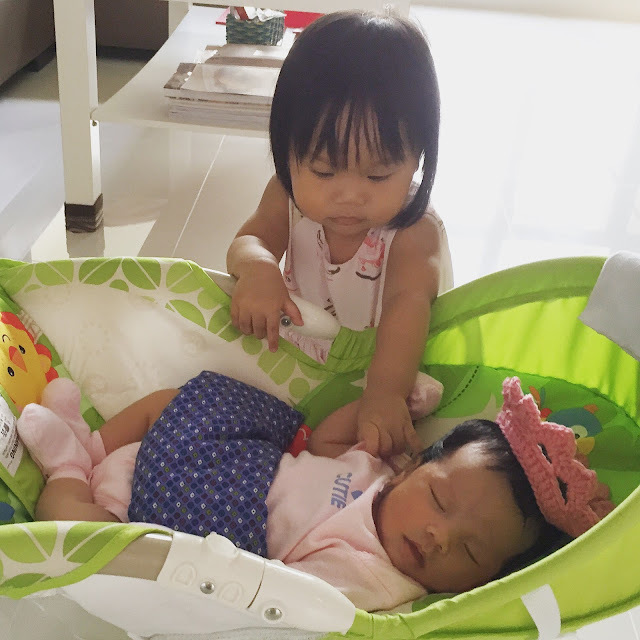 As the first to reach, Josie is able to play with meimei for a while. Cf had done up the place beautifully. But I was too engrossed with the two little ladies, I forgot to take some photos. Don't you find them so so sweet? Josie even called her mei mei all the way. Then we had buffet lunch. Lol hungry me only eat and didn't take food photos. I think I need to get more blogging vibes back and take more photos on top of Josie's photos. JC had some tins of cereal that are expiring next year. He passed Josie a tin to try. Then we left in the mid of the party as CF's place was getting crowded, so we left first to give more space to the newcomers. 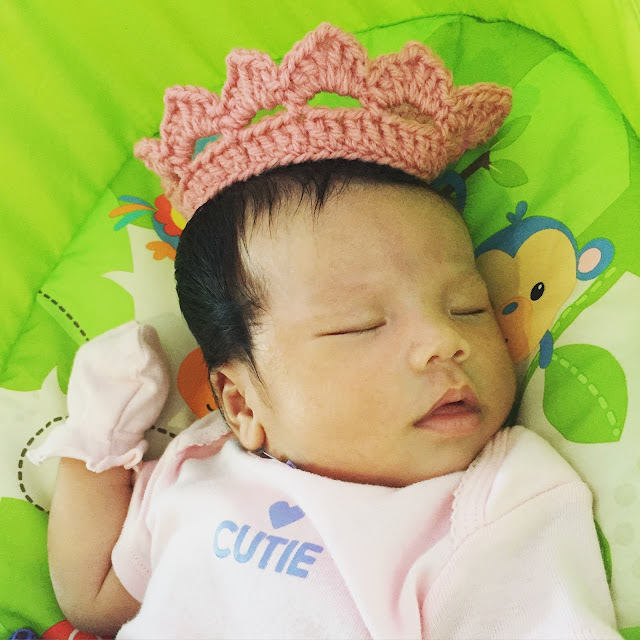 Happy one month old baby Leticia! 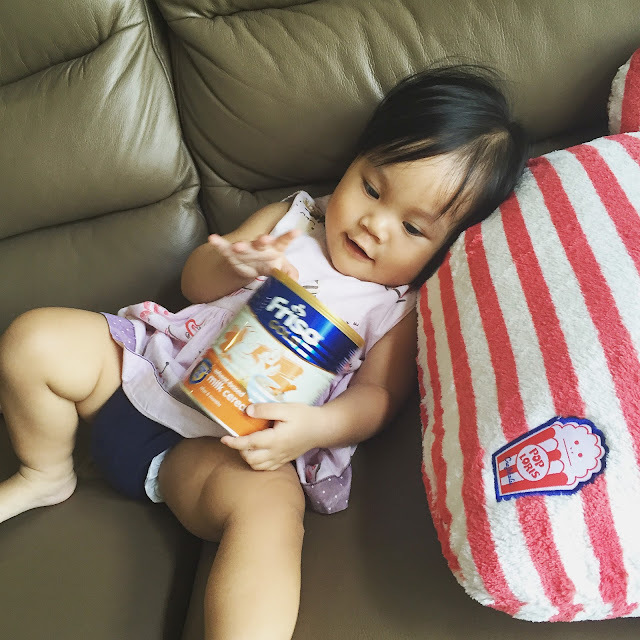 May you grow up strong and healthy!